I take my own pictures of hydrangeas that either grow in my yard or someplace else. I also use images from free stock photography sites. But I don’t use those to create my Zazzle products. Some sites advertise “free” images, but they are only free in certain instances and for particular uses. One site where you won’t have to worry about the use of images is Pixabay. 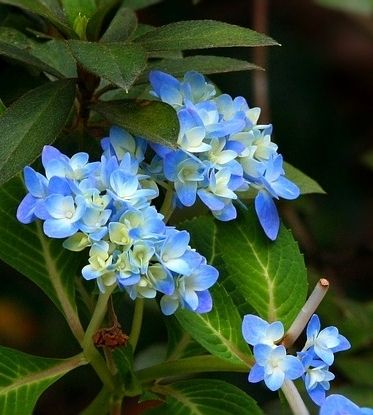 This hydrangea flower image came from there. I downloaded it, cropped it, and added it here. There are no flowering hydrangeas in my yard yet this year, so I don’t have any to share. I’ve expanded this blog to include all types of gardening and landscape design, but I want to still focus as much as I can on the hydrangea. There are some beautiful hydrangeas in the nurseries right now where I live. Tomorrow I get paid, and I’m going to buy some. Do you group one color together in your garden, or do you plant all the colors together? I don’t plant my hydrangeas near each other so they are all over. But my two Limelight’s are next to the front door entry. If you plant them near each other make sure they have enough space to spread out. Let me know what you get!